The National Autism Center has released its review and analysis of interventions for autism spectrum disorder (ASD) based on research conducted in the field from 2007 to 2012. The second phase of the National Standards Project (NSP2) provides an update to the summary of empirical intervention literature evaluated by Phase 1 of the National Standards Project (or NSP1) published in 2009. The National Standards Project is the only systematic review of ASD interventions for individuals across the lifespan based on behavioral and educational studies. The primary goal of the Project was to provide critical information about which interventions/treatments have been shown to be effective for children, adolescents, and young adults with ASD. Nationally recognized experts in autism, as well as other leaders representing diverse fields of study, were involved in both phases of the National Standards Project and guided the process of evaluation. Dozens of article reviewers analyzed 1,165 studies related to interventions for ASD throughout both phases of the project. The combined the results of Phases 1 and 2 have produced the largest compilation of studies reviewed to date. The interventions were subsequently categorized as 1) Established, and producing beneficial outcomes known to be effective; 2) Emerging, with some evidence of effectiveness, but still requiring more research, and 3) Unestablished, and having little or no evidence of effectiveness. NSP2 updated the original findings, added information, and determined whether any of the Emerging interventions in NSP1 had moved into the Established or Unestablished categories. For children, adolescents, and young adults under 22 years of age, the researchers identified fourteen (14) “Established’ interventions; eighteen (18) “Emerging” interventions; and thirteen (13) “Unestablished” interventions. This information is especially important to service providers, educators, caregivers and parents as it identifies evidence-based treatments and provides standards and guidelines on making treatment choices. The following interventions (alphabetically) were identified as falling into the “Established” level of evidence and have the most research support, produce beneficial outcomes, and are known to be effective. “The National Standards Project is an ongoing effort designed to give educators, families, practitioners, and organizations the information and resources they need to make informed choices about effective interventions that will offer individuals with ASD the greatest hope for their futures,” said Hanna C. Rue, Ph.D., BCBA-D, Executive Director of the National Autism Center. It is important to note that the NSP2 ratings are not intended as an endorsement or a recommendation as to whether or not a specific intervention is suitable for a particular child with ASD. 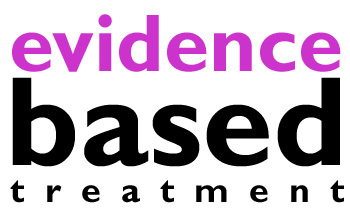 The document cautions readers that “research findings” are only one component of evidence-based practice to consider when selecting interventions. NSP2 is not intended to dictate which interventions can or cannot be used for individuals with ASD. Moreover, it should not be assumed that these interventions will universally produce positive outcomes for all individuals with ASD. The researchers also note that intervention selection is complicated and should be made by a team of individuals who can consider the unique needs and history of the individual with ASD, along with his or her environment. Likewise, the judgment of the professionals with expertise in ASD must be taken into consideration in the decision-making process, together with stakeholder values and preferences. The National Autism Center is May Institute’s Center for the Promotion of Evidence-based Practice. It is a nonprofit organization dedicated to serving children and adolescents with autism spectrum disorder (ASD) by providing reliable information, promoting best practices, and offering comprehensive resources for families, practitioners, and communities. For more information about the National Autism Center, please visit http://www.nationalautismcenter.org/. Lee A. Wilkinson, PhD, CCBT, NCSP is author of the award-winning book, A Best Practice Guide to Assessment and Intervention for Autism and Asperger Syndrome in Schools, published by Jessica Kingsley Publishers. He is also the editor of a text in the APA School Psychology Book Series, Autism Spectrum Disorder in Children and Adolescents: Evidence-Based Assessment and Intervention in Schools, and author of the book, Overcoming Anxiety and Depression on the Autism Spectrum: A Self-Help Guide Using CBT. His latest book is A Best Practice Guide to Assessment and Intervention for Autism Spectrum Disorder in Schools (2nd edition).